Norman Cook will join Sir Elton John and Snoop Dogg at the top of the bill of the five-day festival on the Isle of Wight in September. Event organiser Radio 1 DJ Rob da Bank said: "I still can't believe Bestival is gonna be 10 but it is, and that's great cos it means we get to go even more mental with our on-site creations and general madness. "We wanted to have a big moment for all our amazing crew and the beautiful Bestivalites, whether they've been with us for the last decade or even just this year, so we went back to one of our headliners from the very first year and someone who's supported us since our early days in clubland. "Yes ladies and gents, boys and girls, roll up roll up for what will be the biggest spectacle in UK festival land as we unveil Fatboy Slim's Bestival Birthday Bash." 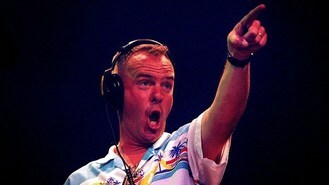 Fatboy Slim, who will headline the Friday night, said: "It was at Glastonbury 2003, where I closed the Sunday Best stage for Rob da Bank, that I first saw the glint in his eye to create his own festival. "Twelve months later I was headlining the first Bestival and 10 years on, here I am again, throwing them the biggest birthday bash possible and sharing the main stage alongside Elton John and Snoop Dogg. "It's an absolute honour to return for this momentous occasion, staying creative and independent in these times. You've come a long way, baby." Other acts playing during the event, which was last year voted UK Best Major Festival, include MIA, Franz Ferdinand, Flaming Lips, The Knife, Wu-Tang Clan and Carl Cox.